Kent has been at the forefront of manned flight since the 1880’s and is thus worthy of the title ‘cradle of aviation’. It began with the Royal Engineers at Chatham establishing a balloon section at St Mary’s Barracks to build and carry out experiments with observation balloons for the Army. Tethered balloons were inflated and tested from a pit in the field opposite the ‘Harrow’ at Lidsing. They were also taken for training at Lydd Camp, the scene of experiments by Col S F Cody with man-lifting kites. In 1913 an airship station run by the Royal Naval Air Service was set up at Kingsnorth, Hoo with a large shed to house the German built ‘Parseval’ airship. A further shed was added to the site and a range of non-rigid airships designed and constructed. Experiments were carried out including an unsuccessful attempt to launch a fighter aircraft from a non-rigid balloon. A further airship station was established at Capel-le-Ferne near Folkestone to carry out anti-submarine patrols. Part of the hangar floor can be seen today in a caravan park near the local public house. It was not only balloons and airships that were to shape aviation in Kent. One of the pioneers of heavier than air flight was Percy Pilcher. He experimented with hang gliders at Eynsford between 1896 and his death in a crash in 1899. The first real successful flights in Kent were in 1908 when a glider built by Short Brothers for C S Rolls hopped into the air at Stamford Hill on the Isle of Sheppey. By 1909 the Aero Club had secured a landing ground at Shellbeach, Leysdown and set up their headquarters at Muswell Manor , a large house still standing and now a guest house. Short Brothers set up a factory in an adjacent field and it was here that the first aircraft production order for six Wright Flyers was completed. This was in essence Britain’s first aircraft factory and made further headlines when Moore-Brabazon made the first successful flights in an all-British machine called Short No.2 in October 1909. Although Leysdown continued as a flying field, Short Bros and the Aero Club transferred to Eastchurch in 1910. It was here that significant developments took place including the production of the first multi-engined aircraft, the idea of folding wings and the training of naval pilots to enable them to take off from warships that were based at nearby Sheerness. By 1914 Short Bros had moved their seaplane activities to Rochester Esplanade whilst the beginning of the First World War had seen the establishment of flying fields at Swingate Downs ,Whitfield near Dover and Hawkinge. With the coming of war a dramatic increase in aviation began in Kent. Being the nearest land to France and the Western Front, aircraft going to these theatres initially flew via Swingate, Hawkinge and Lympne. Training for pilots, observers, air gunners and radio operators were set up at Eastchurch, Leysdown, Manston, Joyce Green, New Romney, Hythe (Pelmarsh), Wye and Biggin Hill. The threat from Zeppelin raids after 1915 led to fighter stations becoming operational at Bekesbourne, Detling and Throwley. The additional threat of the Gotha bomber in 1917 led to additional squadrons being based at Dover and Penshurst. Emergency landing grounds were also set up across the county with RNAS land based aircraft operated from Walmer, Manston and Guston Road in Dover. With the coming of peace most of the airfields were abandoned. The public only saw the aircraft as an instrument of death. It was only in the 1920’s that aviation began to grow, encouraged by such people as Alan Cobham. It was he and his ‘flying circus’ that visited many Kentish towns and brought about a resurgence of interest in flying. Suitable fields were used for joy riding at seaside resorts such as Margate whilst more established airfields were found for the many flying clubs that had sprung up due mainly to Cobham and also Campbell-Black, another pioneer for the increased interest in aviation. The Kent Flying Club found an area of land at Bekesbourne ideal for forming a flying club whilst others found airfields such as Lympne, Gravesend and West Malling just as suitable. Gravesend was to call itself ‘London East’ and was a major diversion airfield for aircraft using Croydon. Between 1933 and 1936, Edgar Percival built a series of Gull racing aircraft at the airport and it was used to prepare such aircraft as the De Havilland Comet for races and record breaking flights. Maidstone Airport (West Malling) had originated as an emergency landing ground but in 1930 West Malling Aero Club was formed. The site was also associated with ‘Jimmy’ Lowe-Wylde who constructed gliders and ‘Planette’ powered gliders in a disused part of Isherwood and Foster’s brewery in Gabriels Hill, Maidstone. It was whilst flying one of his gliders at Maidstone Airport that he crashed and was killed but his British Aircraft Construction Company remained in business for several years after his death. With the success of their seaplane works, Short Bros now looked around for a suitable land airfield. They found Rochester and began construction during 1933. Once finished they commenced building the Scylla and Syrinx aircraft which were land based versions of their very successful Kent class flying boat. A scheduled service began between Rochester and Southend in 1934 for the price of twelve shillings. 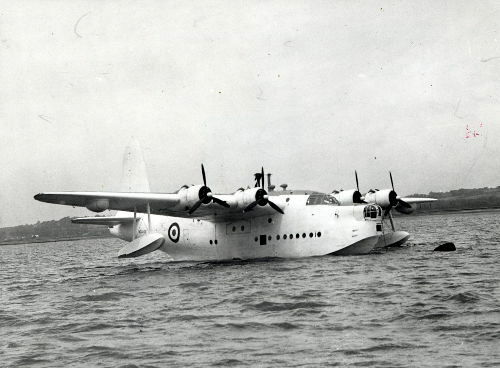 The company prospered for the better when they received an order from Imperial Airways for their C Class flying boat which opened up the world airways. However with another war looming, Short Bros began to develop the first four engined bomber for the RAF, the Short Stirling. This necessitated an increase in facilities with extra hangarage being constructed whilst the company opened a new factory in Knight Road, Strood to fabricate wings and tail planes. Douglas Pobjoy set up Pobjoy Airmotors adjacent to the main hangar at Rochester and began to build the ‘Niagara’ engines for the Short Scion, a light aircraft. Another grass airfield was opened at Ramsgate which became known as Ramsgate Municipal Airport. From 1937 Crilly Airways and Hillman Airways operated from the field together with the Thanet Aero Club. However with the advent of war, it was found to be of no use to the military and was closed down in 1939. Penshurst, although only a grass airfield, was often used by the giant airliners of Imperial Airways when Croydon Airport was fogbound. Using the entire length of the grass, they just managed to get airborne before hedges and trees loomed up before the pilots eyes. It became the home of an Air Observation Post Squadron during 1944 flying the Auster in support of the army operations both in the UK and in France. The officer’s mess was the nearby Knotley Hall which after the war became a home for Dr Barnardos and is still standing today. 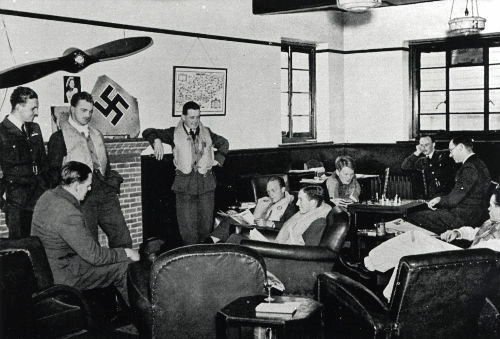 As war reared its ugly head once again, Elementary Flying Training Schools were set up at Gravesend with canvas hangars in 1937 and at Rochester to expand the supply of pilots available to the RAF and Fleet Air Arm. Both were moved away at the outbreak of war although Rochester was to continue building the Stirling bomber. The airfield at Detling became part of Coastal Command and supported No.500 (County of Kent) Squadron of the Royal Auxiliary Air Force flying the Avro Anson. West Malling was expanded together with Biggin Hill, Lympne and Hawkinge. On the cliffs around the Kent and Sussex coastlines, large metal pylons marked the buildings of the ‘early warning’ radars known as Chain Home Radars. This was to prove the salvation during the Battle of Britain when the early warning of enemy aircraft approaching allowed the fighter squadrons to be in the air ready and waiting for the enemy to approach the coast. As the war progressed, preparations for the invasion of Europe instigated a new set of airstrips known as ‘Advanced Landing Grounds’. These were in use by early 1944 with both RAF and the American forces in situ. Most only lasted for six hectic months before, as the allied armies advanced towards Germany, the squadrons moved across to France. Those in Kent were at Great Chart, Egerton, Lashenden, High Halden, Kingsnorth, New Romney, Brenzett, Staplehurst, Lydd, Newchurch and Woodchurch.. Once the squadrons had left most of the land returned to farmland although one ALG, Lashenden (Headcorn) has remained a very important private flying field. In 1939 the whole fury and might of the German Air Force turned against Great Britain. With the relentless and successful push across France, Belgium and Holland by the German forces, Adolf Hitler and the German High Command considered that Britain would sue for peace. We did not and whilst this was ultimately the right decision, it confronted the RAF with new and immense problems. With the British rejection of a peace settlement, German thoughts turned to an invasion of our shores. It was code-named ‘Operation Sealion’. In order to achieve this, the Luftwaffe Commander-in-Chief Hermann Goering knew that he had to gain air superiority over the home counties. This he expected would be achieved in a couple of months but he had not taken into account the spirit and determination of Fighter Command commanded by Air Chief-Marshal Sir Hugh Dowding and his men under his command. This was the beginning of the Battle of Britain and the RAF, compared with the Luftwaffe, was grossly under strength. The air battle is deemed to have started on July 10 1940 when the Luftwaffe began attacking our Channel convoys. By the end of July it was all-out attacks on the fighter airfields. These attacks came with such ferocity that on many occasions, the airfields became untenable. Many operation rooms and sector control rooms were moved out to civilian properties such as shops etc where they continued to control the aircraft fighting the battle. Day after day the Hurricanes and Spitfires supplemented by Boulton Paul Defiants and Bristol Blenheims fought in the skies above Kent and Sussex against a numerically superior air force. By August parts of Kent were littered with the wrecks of aircraft, both British and German. Although desperately tired, the pilots and groundcrews of Fighter Command continued to fight for four months, many of them losing their lives. It was a fight against all odds yet somehow, surrender of the sky was never given to the enemy. The battle was considered over by the end of October when, having not obtained the necessary air superiority and with the onset of bad weather, Goering ordered his air force to turn their attacks to the cities and towns. ‘Operation Sealion’ was postponed and Britain lived to fight another five years. Winston Churchill called the pilots ‘the few against the many’ and considered the Battle of Britain ‘their finest hour’. Those few months were an aerial battle that we shall never see again. With the end of the war the scene changed rapidly with some of the airfields closing altogether. Detling became the Home Command Gliding School whilst Manston, Hawkinge, West Malling, Lympne and Biggin Hill became major RAF peacetime bases. 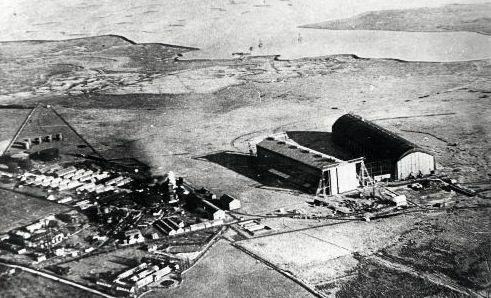 Rochester, which had been badly bombed in August 1940, had given up aircraft production and Short Bros had moved to a modern factory in Belfast. This airfield now became a home for light aircraft and flying clubs. Lympne eventually reverted to civil use as a base for cross Channel ferry services run by Silver City Airways. They moved to a new airfield built expressly for the cross Channel flights named Ferryfield at Lydd, an airport that today is actively attempting to become the Kent regional airport. Manston is now Kent International Airport whilst Gravesend, West Malling Eastchurch, Hawkinge, Detling and Lympne have all been demolished and are now industrial and housing estates. For a county that saw the Battle of Britain fought in the skies above, very little remains to remind us of that heroic time. The Battle of Britain Monument at Capel-le-Ferne stands testament to a time when ‘the few’ fought off a superior enemy in strength. During these years Kent became known as ‘Hell’s Corner’, a title richly deserved and one that is implanted in the minds of those who lived through that time. Nothing remains to be seen of the old airfield. There is a plaque in the Cascades Leisure Centre denoting the existence of the airfield. The airfield is now a Home Office prison. Many bunkers remain to see and there is a unique command bunker still in position. Some of the old RAF buildings remain and the WW1 hangars are still in use for storage. The entire airfield has now been built upon. However the gymnasium remains together with a memorial to the airfield near by. The Hawkinge Airfield Memorial Trust Museum is a must for aviation buffs and is situated at the end of Aerodrome Road. The airfield is just one large industrial site although some of the RAF buildings remain alongside Otterpool Lane. This airfield is no longer recognisable when viewed from the air or the ground. The Control Tower is listed and remains though it is has been vandalised and is in need of repair. There are some buildings in the woods around the golf course such as the peacetime control headquarters but it is difficult to find. The one remaining Pickett/Hamilton Gun Turret remains and is listed although this too is difficult to find. Now called Kent International Airport, many of the RAF buildings remain to be seen. There is the excellent Spitfire and Hurricane Museum as well as the Manston History Museum to be viewed. The RAF part is now the home of the MOD Fire Service School. Once the home of Short Brothers, the original buildings remains now used by BAE. It is home to a number of flying clubs and also the Medway Aircraft Preservation Society who refurbish military wartime aircraft to both static and flying condition. This is an active airfield so beware and obey the traffic lights at the entrance. This is a heavily used airfield and was once an Advanced Landing Ground. It is home to the Tiger Club, many private aircraft and the excellent Lashenden Air Warfare Museum which has the only working Pickett/Hamilton Turret in the country. Also once an Advanced Landing Ground, this is the home of the Brenzett Aeronautical Museum. The artifacts are housed in the original RAF buildings. There are four important aviation museums in Kent, Brenzett, Hawkinge, Lashenden and Manston. They are all full of artifacts and memorabilia from the Battle of Britain and the war in general. Manston has a genuine Hurricane and Spitfire on show whilst Hawkinge has many of the replica aircraft that were used in the film ‘Battle of Britain’. Each and every museum has remnants of crashed aircraft of both countries recovered by amateur aviation archaeologists. Entire Rolls-Royce Merlin engines are on show, all of them recovered from crashes and telling their own story of how the aircraft crashed, what squadron and airfield it was from and who was flying it. All four are another aspect of Kent’s rich aviation history.